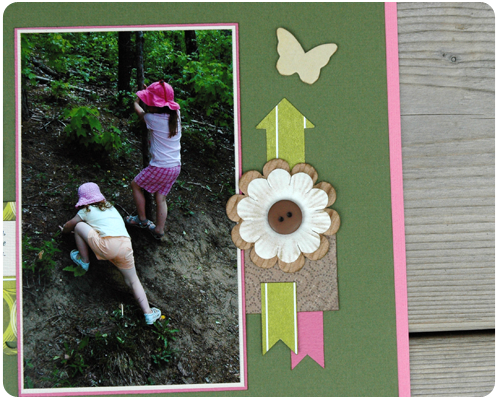 Today I am excited to show you the layout that I created for the June Sketch Challenge at The Memory Nest. To be honest, I was a little anxious about this page at first...it looked so empty, like something was missing, there was too much blank space and too few embellishments. But after looking at it for a while (in other words, leaving it laid out on my table for days), I came to love the clean and simple design of this page and how its focus is kept so crisply on the photo. I used scrap paper that I had laying around for this layout. And I was so happy to use these pink fabric Thickers from American Crafts for the title. 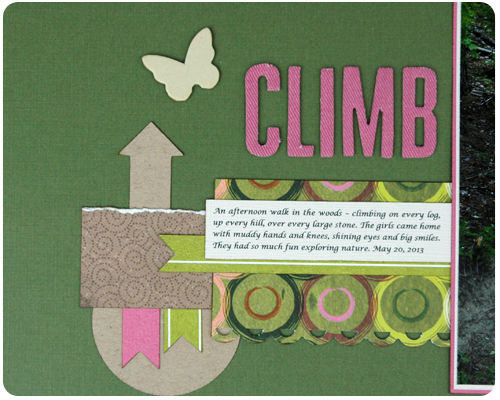 I added the arrows pointing up to the top of the page to emphasize the whole 'climb' theme of the page. And of course I needed to add a layered flower; can't have a page without layering, that would not do. I really enjoy participating in these Sketch Challenges - it is so much fun and so creatively satisfying to take a basic sketch and make it all my own. 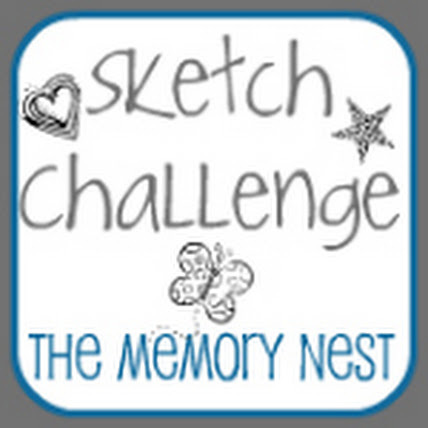 Be sure to pop over to The Memory Nest see what others have created based on this month's sketch. 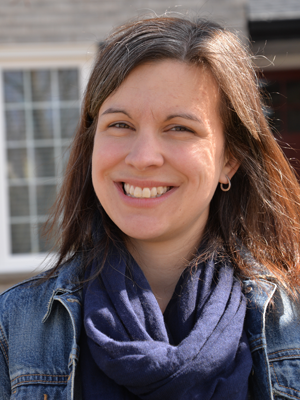 And while you're at it, why not create a layout of your own and link up. We think it turned out great! The kids are so cute.